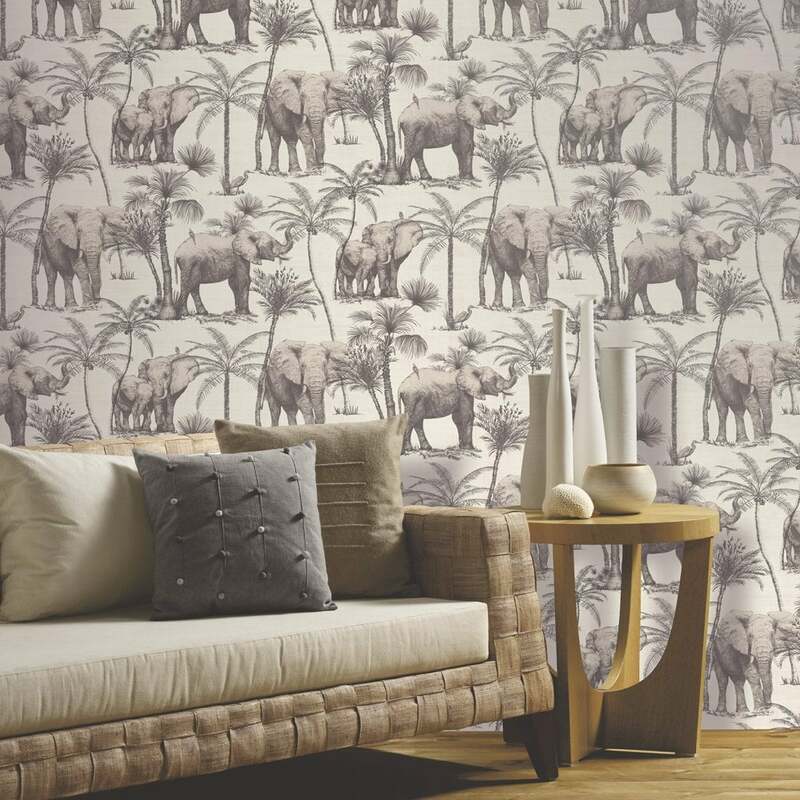 New from Arthouse comes this stunning large elephant and palm trees wallpaper. This wallpaper is flourished with stunning jungle inspired prints with a touch of modern feel. This wallpaper can be used as a feature wall paired with neutral wallpaper or running throughout the wall on its own.